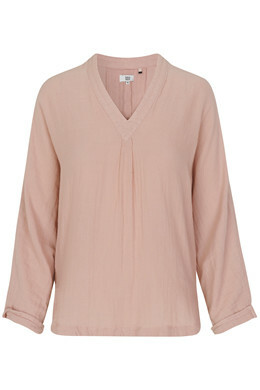 Blouse in 100 percent cotton with V-neckline. The blouse has side slits and a small turn-up at the three-quarter length sleeves. 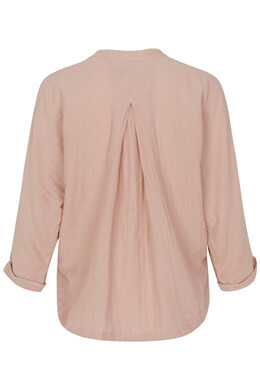 Wear it with a pair of tight trousers that make an effective contrast to the loose top.